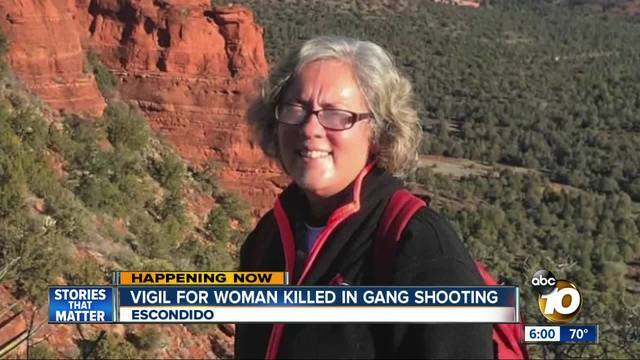 ESCONDIDO, Calif. - Police are investigating the death of a driver who was killed in the crossfire of an apparent gang-related shooting. 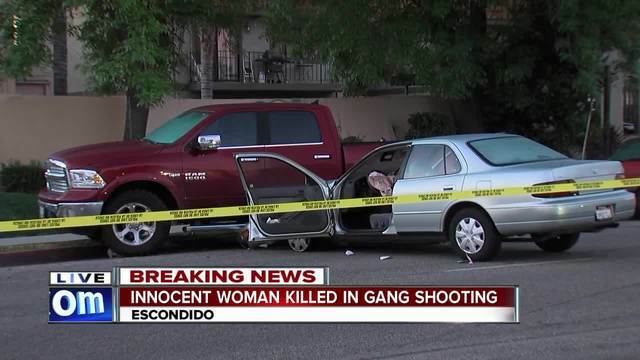 Escondido police said the shooting was reported at around 9 p.m. Tuesday in the 1800 block of Grand Ave. According to police, 55-year-old Catherine Kennedy was driving home from Bible study on east Grand Ave. when a stray bullet struck her in the head, causing her Toyota Camry to crash into a parked pickup truck. 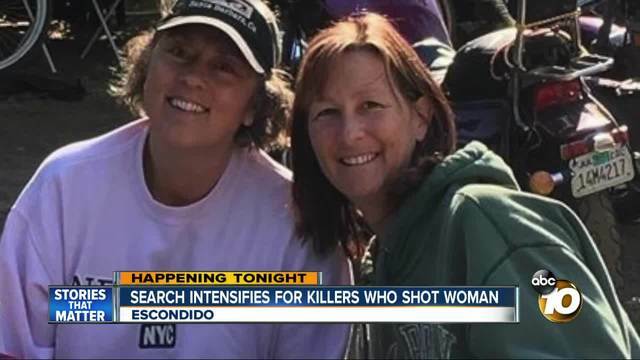 Kennedy was taken to Palomar Hospital, where she died from her injuries. A prayer vigil will be held tonight at 6:00 p.m. at World of Life Worship Center located at 1800 East Grand Avenue in Escondido. 10News learned Kennedy was on her way home from a church function. Police said they believe two gang members were shooting at each other on the street at the time. Some neighbors told police that they heard at least six gunshots, and police said several cars were hit by gunfire. A description of the people involved in the shooting has not been released.